Survivability profiling. Just by typing those two words on the screen I’ve started an argument. It’s one of the hottest and most controversial topics in the fire service recently. The title image is from Captain Stephen Marsar’s article on this topic that appeared in the July issue of Fire Engineering. His article can be found here. Captain Marsar, while not exactly the founding father of this movement, certainly gave it some momentum with an award winning thesis paper at the National Fire Academy, his recent articles in Fire Engineering as well as an appearance on Christopher Naum’s weekly podcast, Taking It to the Streets, where he discussed this idea and talked about his research into it. Captain Marsar began the profiling ball rolling while he was enrolled in the Executive Fire Officer program at the National Fire Academy. His project thesis, Can They Be Saved? Utilizing Civilian Survivability Profiling to Enhance Size-Up and Reduce Firefighter Fatalities in the Fire Department, City of New York, can be found here and if you have yet to read it I suggest that you do so, along with the Engineering articles. You can also listen to the podcast here. Once you navigate to that page look on the right-hand side for the BlogTalk Radio box. There is a listing of archived shows there, just click on the title to listen. I have read Captain Marsar’s paper and articles and I listened to the podcast just the other night. So I am familiar with his research and the basis of his argument, but I don’t know if I completely understand it. I think on the most basic level I’ve got a grasp of it but there are a couple stumbling blocks that I just can’t wrap my head around. This post is not going to be about bashing Captain Marsar or trying to tear his research apart. I simply would like to talk about this topic and use the research that Captain Marsar himself supplied. Hopefully this will spur some comments and we can get a dialogue about this topic going. Ok, I am going to try and break down Captain Marsar’s argument to the most basic level and go from there. Essentially, Cap argues that due to the growth of the fire and the byproducts that are being given off by todays materials most victims have already succumbed to toxic smoke or non-survivable burn injuries by the time we are ready to initiate an attack and search. This is really what the graphic above is all about. That by the time we are actually on scene and ready to go and get someone the available oxygen inside the structure has dropped to dangerous or lethal levels, the carbon monoxide levels are elevated to dangerous or lethal levels, the cyanide levels are elevated to dangerous or lethal levels and the heat given off by the burning of todays “hotter” fuels has caused severe or lethal insult to a victim’s body and airway. 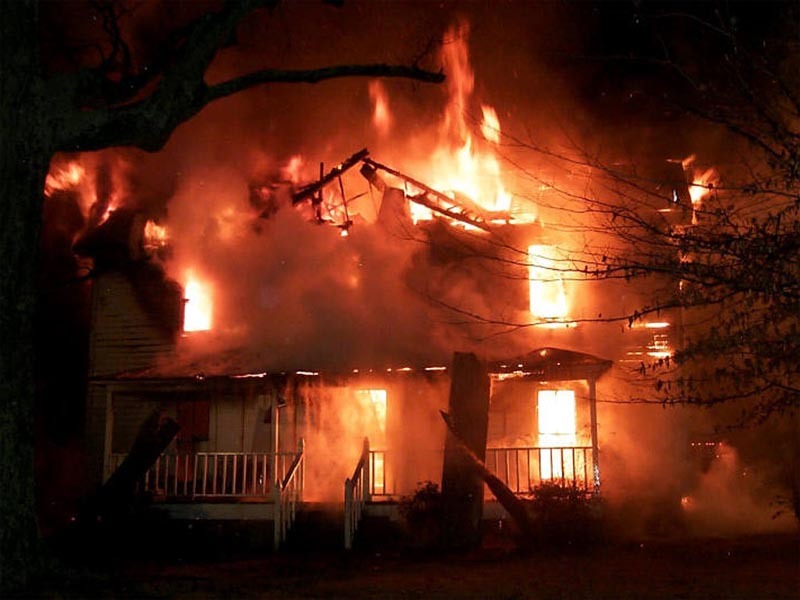 Given those facts, he argues, we should begin to change our thought process when arriving at structure fires with a known or possible life-threat. 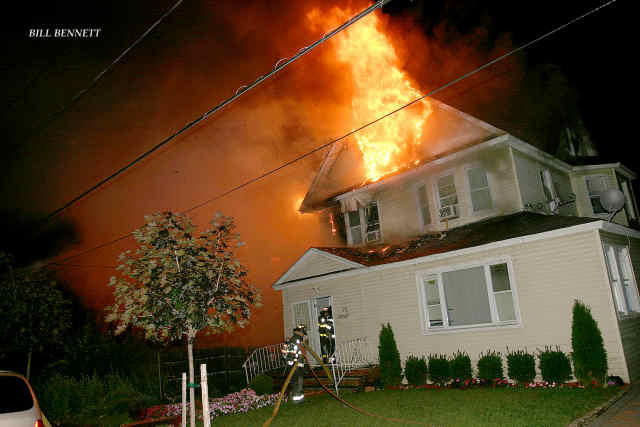 Instead, we should probably slow down, attack the fire and then make a rescue or removal when it is safer for us. In part, Captain Marsar uses the deaths of 32 FDNY firefighters over a 19 year span to make this point. In the incidents that these 32 brothers were killed not a single civilian fatality occurred. So, to paraphrase him, “what are we killing ourselves for?” This is one of the areas I can’t quite wrap my brain around. That I have found so far he doesn’t list the causes of deaths of these 32 firefighters, during which phase of the operation they died or if any civilians were rescued during these same incidents. I just kind of don’t get that part of the argument. The rest of the argument, while I don’t entirely agree with, I understand. More toxic smoke + “hotter” fires + no protective equipment = civilian fatality. Makes sense, at least on the surface. Here’s my number one argument against that line of thinking; until you can show me on the timeline above exactly where the victim took their last breath and their heart stopped beating, I think we should operate as we have. In other words, if you can pull out statistics that show that all civilian fatalities that occur inside burning buildings happen from 0 – 10-ish minutes, as the timeline implies, then I will subscribe to this theory. Until you can do that, not gonna happen. Being a medic I completely understand the physiologic arguments presented. But we all know every fire is different, we all know the conditions are constantly changing and that we really don’t know even while we’re inside the building what those conditions are from room to room or floor to floor. So, in my mind at least, I don’t know how you can make a blanket statement regarding survivability based on those factors alone. My second argument, and it’s one I have used in other discussions, is the synopsis’ of the events that lead to firefighters being awarded the Firehouse Magazine Courage and Valor Awards. If the accounts of many of those incidents for which brothers and sisters received awards for rescuing or at least removing someone from a structure are to be believed, then almost all of them should never have even been attempted. Phrases like, “high heat”, “zero visibility”, “dense smoke” and “at great personal risk” abound in those accounts yet many successful rescues resulted. I’m not a scientist, doctor or Executive Fire Officer but that’s how my brain looks at it.Now here’s the part where I am actually going to side with Captain Marsar in a way. I think many people in the fire service right now are jumping his proverbial defecation without having a full understanding of what he is saying (because they haven’t actually read what he has written or heard him speak on it) or because they have forgotten something. At least in my little pea-brain I kind of think we already do this “survivability profiling” thing; we call it size-up. This was brought up on the podcast the other night both in the chat room that happens while the show is going on and by someone who called in to talk to Captain Marsar. The person said that they thought maybe the reason so many people were up in arms over this is basically because of the title itself. Something about “survivability profiling” just doesn’t sit well with people. But if you change the term and call it size-up suddenly everyone’s on board. We would all sit back and say that reading smoke and fire conditions upon our arrival is critical to making a decision as to what mode we will be operating in (offensive, defensive, transitional) and which tactical objective is most important at that moment, life safety or fire suppression. Doesn’t seem so hard to swallow when you think of it that way does it? Captain Marsar even acknowledged that point on the podcast but believes that the “science” needs to be employed as well to further assist in the decision making process. Me personally, I dunno. Given tenable conditions or even extreme conditions with very good and reliable information, I still think we need to get in and give those people every possible chance. Ok, so if I role up on both the houses below on separate shifts and am being told by someone in the street that there’s some trapped in both buildings, which one am I going to go into? Which would you go into? See? We didn’t need “survivability profiling” to come up with those answers. It’s part of what we have already been trained to do and what experience has taught us. This entry was posted in Professional and tagged Captain Stephen Marsar, Christopher Naum, Courage and Valor Awards, Fire Engineering Magazine, Firefighter Netcast, Firehouse Magazine, National Fire Academy, New York City Fire Department, Rescue, Size-up, Stephen Marsar, Survivablity Profiling, Taking It To The Streets. ← Are You A 1-Percenter? Sledge hits the nail on the head. If all fires were the same( same container, same contents, same ventilation, same same) then we could use science, and scientific theory in fire attack, and Life rescue. However, given the variables we face in any size fire, we have to use science, and alchemy, magic, art whatever you want to call it, to effect the solution. The Survivability Profiling concept has generated a lot of discussion and some spirited debate which is all good. I’m glad to have stumbled upon your blog. I sincerely appreciate you taking on the discussion and would like to address some of your key arguments and concerns. First, the research project does address your question on how the 32 FDNY firefighters were killed over the past 20 years – each of them died during fire suppression activities: primary searches, overhaul, and initial attack phases. Unfortunately, the number of civilians rescued or saved has only begun to be recorded by the FDNY since 2009. Nationally, these statics are all too often not kept or reported by fire departments even though it is part of the basic NFIRS reporting. Reporting the numbers of civilians saved and rescued would go a long way to help several of our common fire service issues. Second, the timeline of civilian fire deaths are routinely estimated and recorded by Medical Examiners and Fire Marshalls throughout the country but, due to HIPAA laws they cannot be made public except by court order or to immediate family members (although I have found with my local professionals they will help on a specific fatality if you beg nicely and promise not to advertise it…Oops!). This is the same way our law enforcement counterparts have been estimating times of death for homicide victims for decades. The two scientific studies and several fire service studies mentioned in the research all concluded that most civilian fire fatalities occurred within ten minutes of the start of the fire (of course some were shorter and some longer depending on variables such as where the victim(s) was in relation to the fire and toxic smoke, if flammable liquids were present, etc., etc.). You are correct that we don’t know what the conditions are throughout a building or even room to room. That’s why in larger McMansions or mutli-story buildings people can survive in remote areas. However, civilians have also been found dead on floors higher than ten stories above the fire floor from smoke. Putting the fire out always makes things better for us and people who might be trapped. Third, you’re also right about the name “Survivability Profiling” in and of itself, getting so many people up in arms and if we just called it size-up most would probably be on board with it. However, traditional size-up techniques are killing us, literally. They fall short and fail us as a profession in today’s fire environments. That’s why the IAFC adopted the Rules of Engagement for Structural Firefighting and Firefighter Survival as a short, bulleted list that’s easy to learn, easy to understand, and easy to apply. They serve as a national model of deciding when to go or not-to- go. Traditional size-up asks the question “are there people inside that structure?” based on such considerations as time of day and type of occupancy, etc. What Survivability Profiling asks is “are people ALIVE in there?” and that’s where the concept is different. Survivability Profiling goes beyond basic size-up. In the two photos you used and asked which one would we go in to, we both know firefighters and officers that would attempt to enter that first one! And in Bill Bennett’s photo certainly there are no savable victims on the third floor. If the fire started on the second floor there’s a good chance that that is also not a tenable area for civilians. The first floor is probably a survivable environment unless the fire started in the basement and the construction is balloon frame, then that may not be, hard to tell from the photo. Additionally, and perhaps even more important from a safety standpoint is that in short or understaffed departments where we don’t have enough on-scene firefighters to perform search and/or rescue and fire suppression activities simultaneously, than the fire suppression may have to come first, another difficult decision for many Incident Commanders (and company officers). To make the difficult and yes, even unpopular decision that trapped occupants are not savable is going to be very tough. But, year after year when we read firefighter fatality reports there are times where that is the case or, more often than not, where WE were the only life hazard that existed once we entered the structure. Thank you for the opportunity to chime in and for your effort to bring the “argument” to light. I really enjoyed your blog! For more on Survivability Profiling check out the upcoming July 2011 issue of Fire Engineering and the November 2011 issue of FireRescue Magazine.